Aspen Comics plans to be in Phoenix this weekend for Phoenix Comicon. The publisher will bring a slew of exclusives to the show, in addition to some talented individuals. Frank Mastromauro, Peter Steigerwald, Vince Hernandez, Siya Oum, Tom Hutchison and Heather Finley will be making an appearance at booths #9067 and #1066. 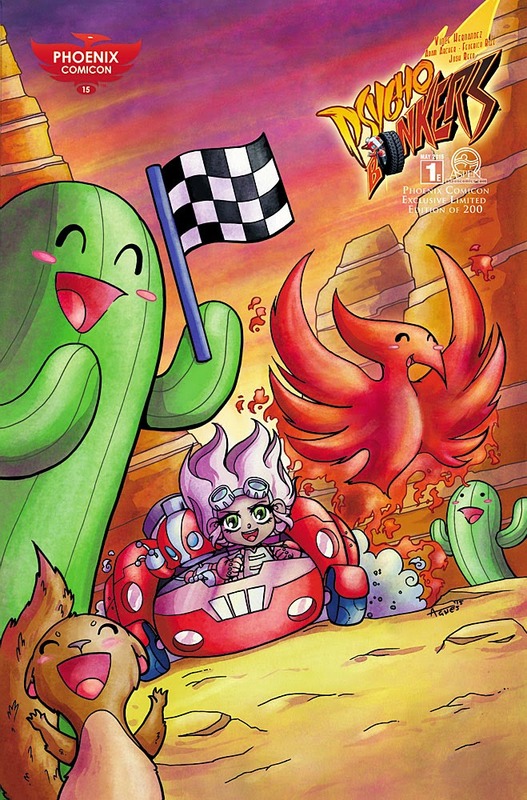 Not only that, but Aspen will also have four Phoenix Comicon-exclusive variant issues available for purchase: Fathom: Kiani #4 by Michael Turner and Steigerwald, Psycho Bonkers #2 by Agnes Garbowska, Shahrazad #3 by Nei Ruffino, and Lola XOXO: Wasteland Madam #2 by Oum. The latter two exclusives will be premiering at Phoenix Comicon before officially hitting stores next Wednesday, June 3rd. 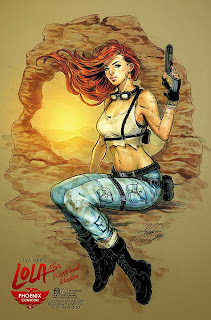 Oum and writer Hernandez will be available through the weekend to sign the Lola XOXO: Wasteland Madam exclusive variant. Aspen will also have a selection of their industry-leading prints with them, including full-size versions of Phoenix Comicon exclusives Fathom: Kiani #4 by Turner and Steigerwald, Shahrazad #3 by Ruffino, and Lola XOXO: Wasteland Madam by Oum. 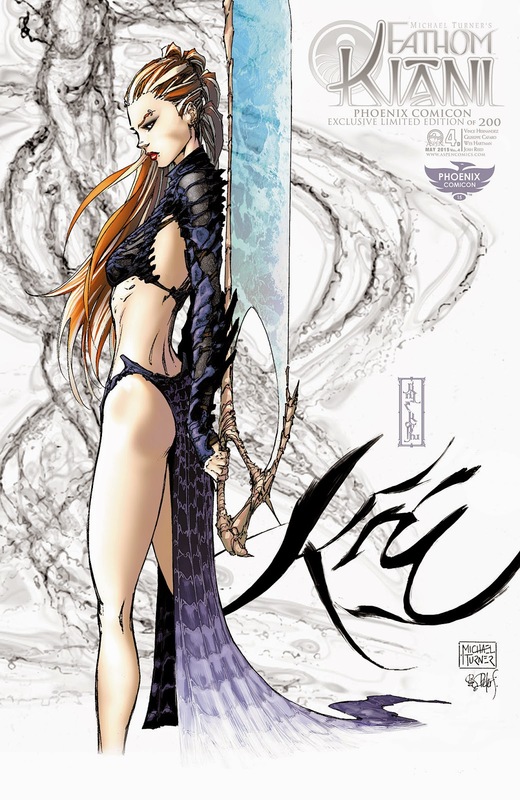 As well, there will be a fourth convention exclusive print available: the Retailer Incentive cover of Shahrazad #3 by J. Scott Campbell. Full press release below. 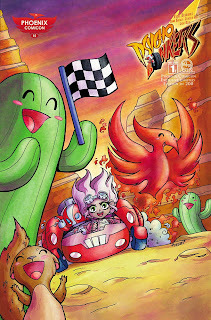 Publisher Aspen Comics will be at Phoenix Comicon with a wealth of exclusives in tow this Thursday, May 28th through Sunday, May 30th. Frank Mastromauro (Shrugged), Peter Steigerwald (The ZooHunters), Vince Hernandez (Fathom: Kiani), Siya Oum (Lola XOXO: Wasteland Madam), Tom Hutchison (Big Dog Ink), and Heather Finley (Executive Assistant: Iris Annual) will be in attendance at booths #9067 and #1066. The publisher will have four Phoenix Comicon-exclusive variant issues available for purchase: Fathom: Kiani #4 by Michael Turner and Peter Steigerwald, Psycho Bonkers #2 by Agnes Garbowska, Shahrazad #3 by Nei Ruffino, and Lola XOXO: Wasteland Madam #2 by Siya Oum. The latter two exclusives will be premiering at Phoenix Comicon before officially hitting stores next Wednesday, June 3rd. Oum and writer Vince Hernandez will be available through the weekend to sign the Lola XOXO: Wasteland Madam exclusive variant. 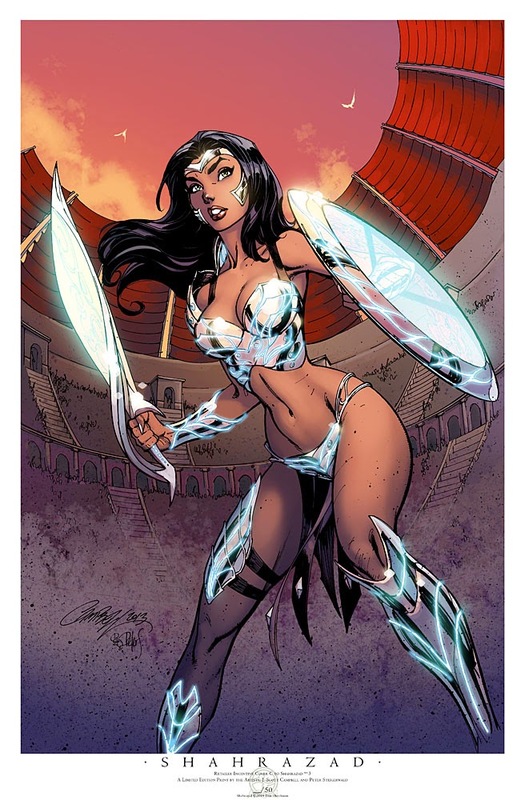 Aspen will also have a selection of their industry-leading prints with them, including full-size versions of Phoenix Comicon exclusives Fathom: Kiani #4 by Turner and Steigerwald, Shahrazad #3 by Ruffino, and Lola XOXO: Wasteland Madam by Oum. As well, there will be a fourth convention exclusive print available: the Retailer Incentive cover of Shahrazad #3 by J. Scott Campbell.